Courtyard by Marriott, Agra gets bigger on its 2nd anniversary breaking its own record by yet another longest cake in Agra’s history! 25th January 2017, Agra: Courtyard by Marriott Agra, located in the city of love and the home to world renowned Taj Mahal, is celebrating its 2nd anniversary in the most magnificent way with the longest cake in the history of Agra breaking its own record of last year. 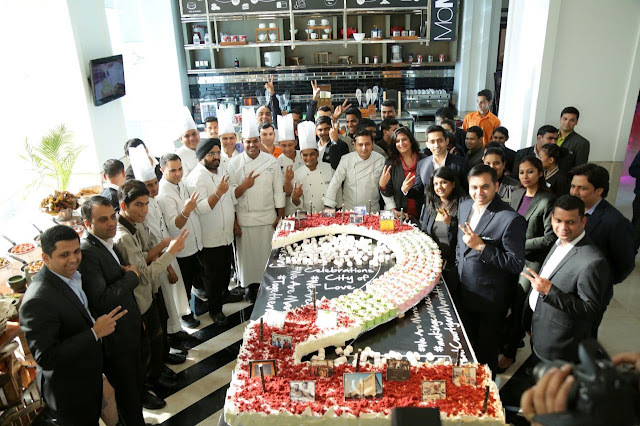 To celebrate the journey of two years, the hotel has made the city’s largest cake ever which is 50 ft long and weighs about 100 kgs. 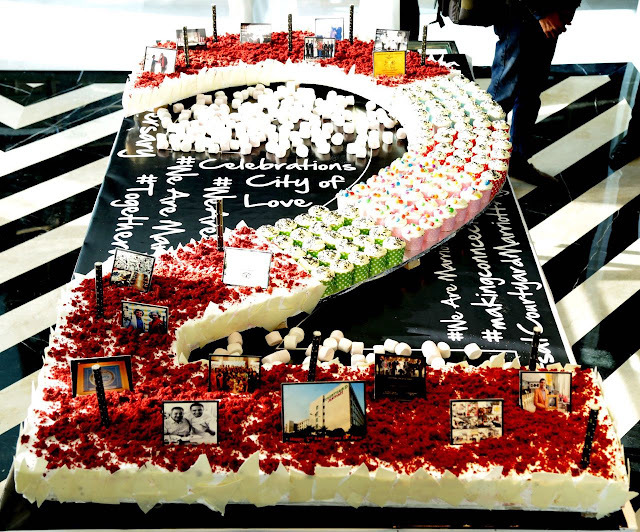 This exclusive cake is in the shape of numerical ‘2’ to mark the hotel’s 2nd anniversary in the heritage city. This cake which would definitely be remembered for years to come, has been prepared by the culinary team at the hotel lead by Executive Chef, Vivek Kalia. 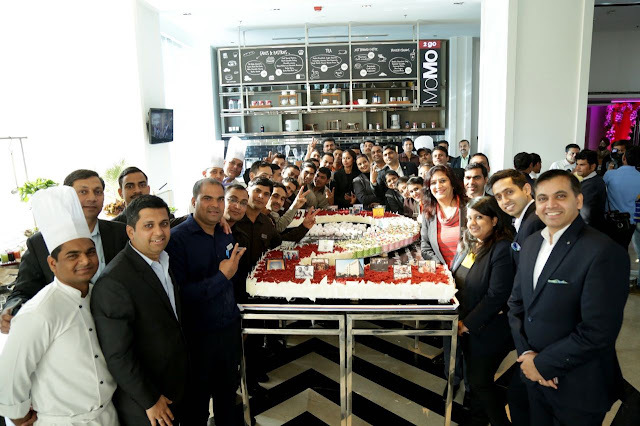 The guests at the hotel along with the Marriott Associates together had the honor of cutting the elegantly crafted cake with edible printing depicting the hotel’s achievements over the last two years. To mark the occasion, the hotel has various promotions in its Food & Beverage outlets. MoMo Café did an exclusive deal of ‘buy two get two’ lunch and dinner buffet which was a huge success. Marriott International, Inc. (NASDAQ: MAR) is the world’s largest hotel company based in Bethesda, Maryland, USA, with nearly 6,000 properties in 120 countries and territories. Marriott operates and franchises hotels and licenses vacation ownership resorts. The company’s 30 leading brands include: Bulgari®, The Ritz-Carlton® and The Ritz-Carlton Reserve®, St. Regis®, W®, EDITION®, JW Marriott®, The Luxury Collection®, Marriott Hotels®, Westin®, Le Méridien®, Renaissance® Hotels, Sheraton®, Delta Hotels by MarriottSM, MarriottExecutive Apartments®, Marriott Vacation Club®, Autograph Collection® Hotels, Tribute Portfolio™, Design Hotels™, Gaylord Hotels®,Courtyard®, Four Points® by Sheraton, SpringHill Suites®, Fairfield Inn & Suites®, Residence Inn®, TownePlace Suites®, AC Hotels byMarriott®, Aloft®, Element®, Moxy® Hotels, and Protea Hotels by Marriott®. The company also operates award-winning loyalty programs:Marriott Rewards®, which includes The Ritz-Carlton Rewards®, and Starwood Preferred Guest®. For more information, please visit our website atwww.marriott.com, and for the latest company news, visit www.marriottnewscenter.com and @MarriottIntl.